Not everyone gets to the place they thought they would get to in life. 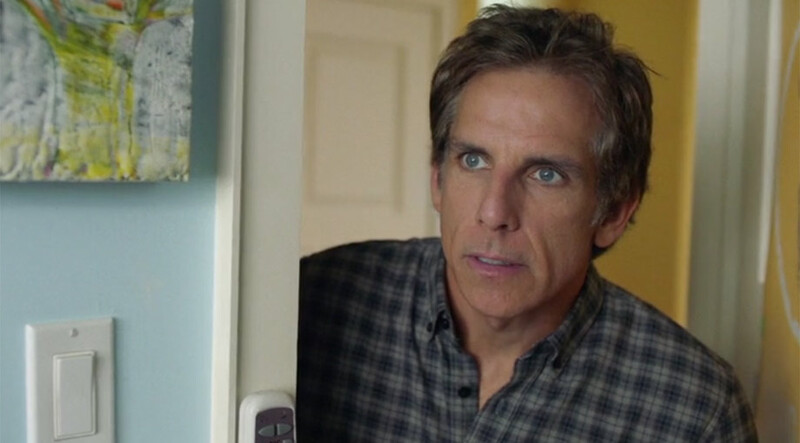 Nothing rings more true than that for Brad Sloan (Ben Stiller). His college friends have all gone on to bigger and better things; Craig Fisher (Michael Sheen) ended up in the White House, Jason Hatfield (Luke Wilson) formed his own hedge fund company and Billy Wearslter (Jemaine Clement) sold his business and got to retire at 40-years-old. Brad, meanwhile, put all his efforts into a non-profit venture – and that’s exactly what he has to show for it. None of the luxury and wealth of his classmates, but he does have a son he’s incredibly proud of. Troy Sloan (Austin Abrams) is a talented musician who’s smart enough to get into pretty much any college he chooses including Harvard. Brad takes him on a tour of colleges across the East Coast, and while he initially doesn’t want to put too much pressure on Troy, he soon gets over-zealous by the prospect of Harvard that he can’t stop himself from heaping advice onto his son who’s anxious enough as it is. Brad just doesn’t want Troy to end up struggling like he is, but he’s going the wrong way about ensuring his success – especially when he bumps into one of his old friends and starts doubting his own successes (or lack thereof) in life. ‘Brad’s Status’ is a comedy drama directed and written by Mike White (‘School of Rock’, ‘The Good Girl’, ‘The Emoji Movie’). It was nominated for the Platform Prize at the 2017 Toronto International Film Festival, and was released in theatres on September 15th 2017.